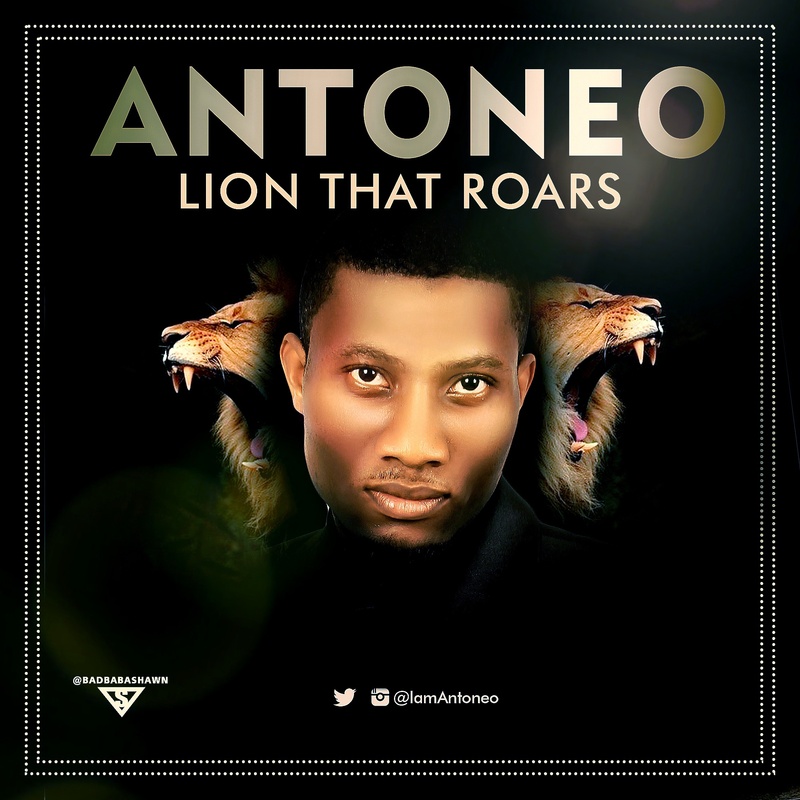 Antoneo, the “Onyedimma” crooner, who was a nominee in the Best Gospel Single category of the 2015 Top Naija Music (Emerging Acts) Awards, is out with another smashing single titled LION THAT ROARS . 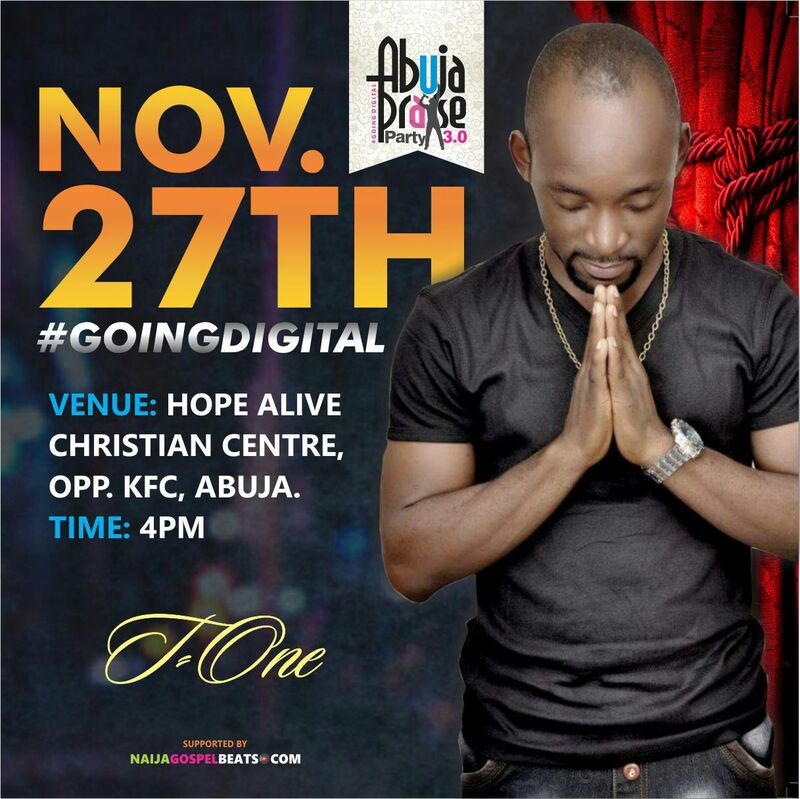 His first Single which earned him the nomination; ‘ONYEDIMMA’, was released on and enjoyed airplay on online media platforms in 2014 and after dropping the video earlier in 2015 which enjoyed massive airplay on both local and cable gospel TV stations, he’s returned to the studios to unleash something grand which could be a leading to his debut album. Evang. 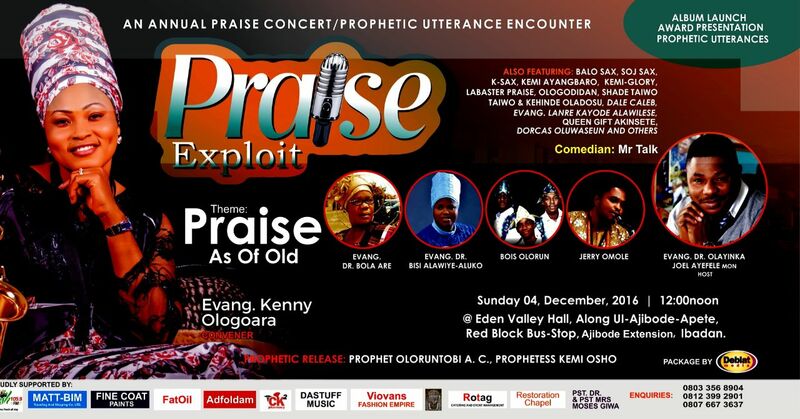 Ologoara To Invade Ibadan City Again With “Praise Xploit” 2016 On December 4th. 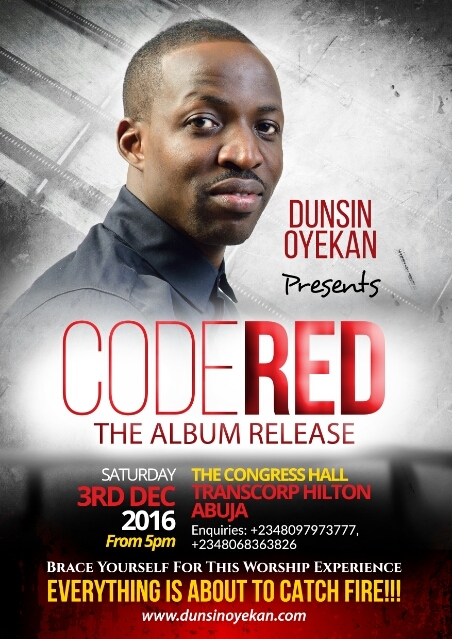 Venue: @ Eden Valley Hall, Along UI- Ajibode -Apete‎, Red Block Bus-Stop, Ajibode Extention, Ibadan. Prophetic Release: Prophet Oloruntobi A. C, Prophetess Kemi Osho. Gdia the Abuja based singer, songwriter and fashion influence returns with another amazing song after her previous widely accepted hit ‘Part of you’. 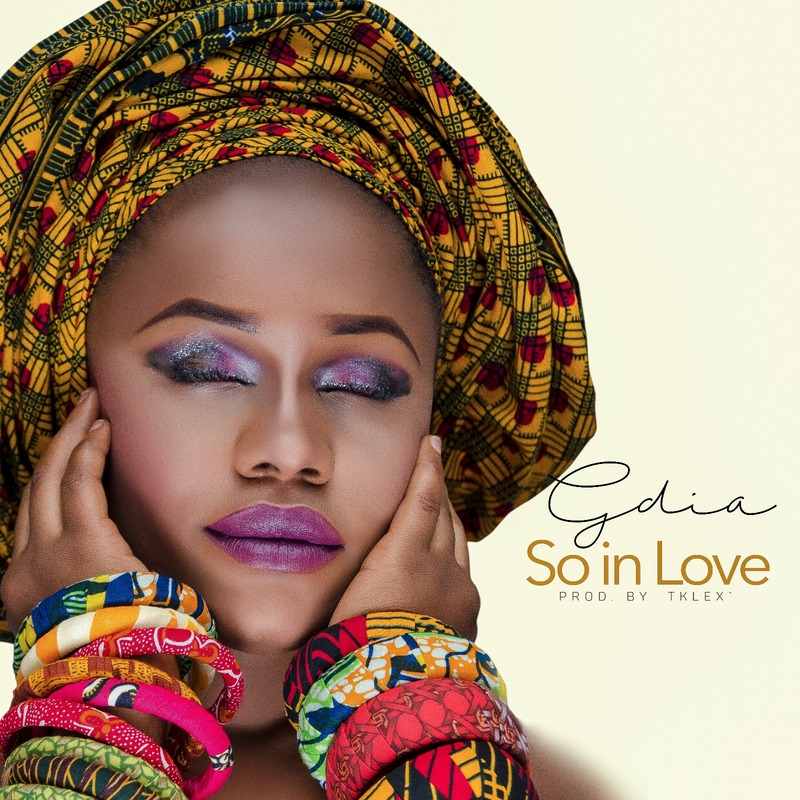 Her new single titled ‘So in love’ is a heartfelt expression of her love for Jesus which she is unashamed to share with the world especially today (November 25th) which turns out to be her birthday. Song was produced, mixed and mastered by Tklex. Benjiszzy Zaakii is one very favourite Gospel/inspirational singer and rapper that is changing lives and as well turning heads constantly with his material releases. 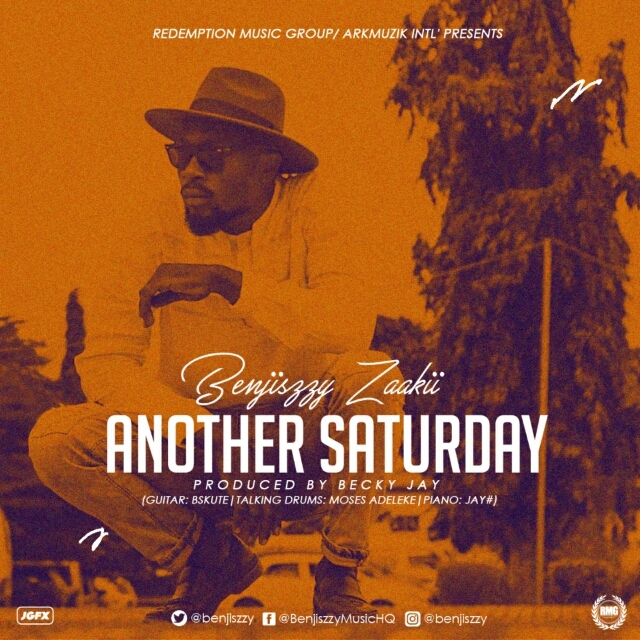 Now he’s upped the stakes with a game-changing song “Another Saturday”– a perfect song of hope, faith, and firm believe in God to invigorate and motivate the singles. Benjiszzy Zaakii came out strong and bold with his prosperous lyrics, all the subtle vocal deftness, and remarkable rap delivery on this rich African highlife rhythm. The combination of Benjiszzy Zaakii’s vocal dexterity and the beat maestro – Becky Jay’s magic fingers has no doubt created ‘the magic’ in this song. When God speaks, everything obeys! Something utterly unprecedented is about to happen on December 3rd, 2016. Come, and see God move in a dimension you’ve never before experienced. Everything is about to catch fire!!! 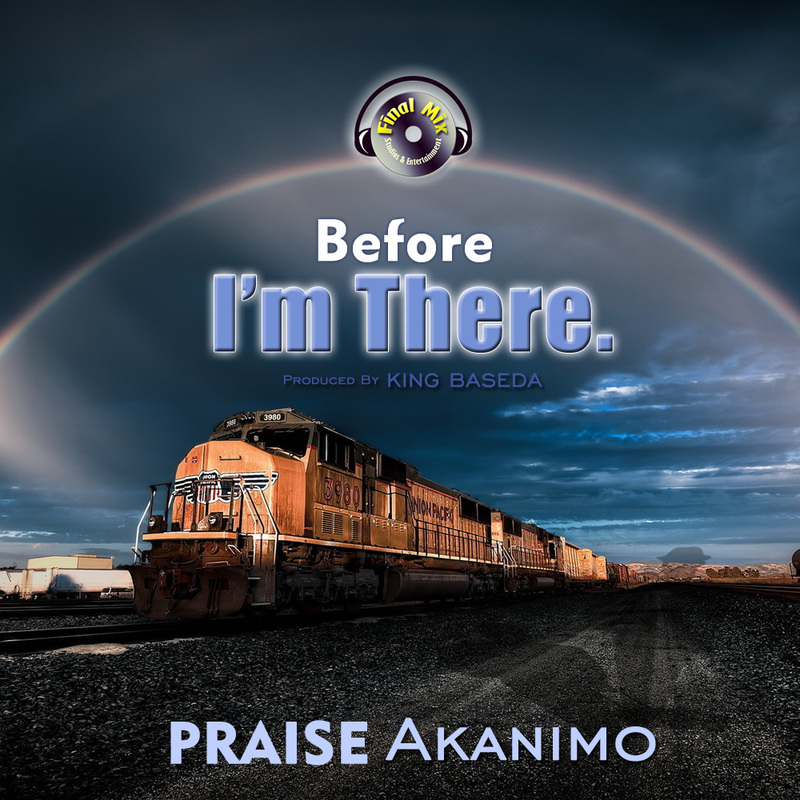 Praise Akanimo – The sailor turned music minister debuts with this inspired single to remind you that God is everywhere. No matter where or what you do, maybe what you are facing, just remember God knows, hears and understands it all. Before you are there remember he is already there. Listen, download and share your testimony.. Thanks and God bless you. PRAISE AKANIMO. Psalmuel Bib is a song minister that has taken gospel music beyond the shores of Nigeria, to countries in Europe and Asia to be precise. The annointed praise/worship leader has just dropped a single entitled COVERED!. Covered! is trending at the moment in Europe, USA and Africa at large especially in Nigeria. This is because Covered! appeals to everyone irrespective of age, race or gender. Covered! is a powerful and inspirational song that can’t be fully described by written words alone…”take a listen to get a a feel of it”. 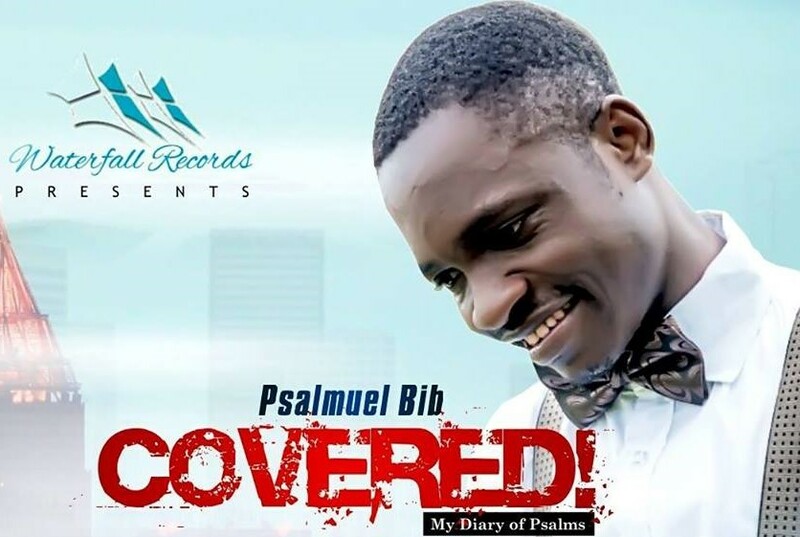 Psalmuel Bib is popularly known for songs such as Sibe (keep your head up), Chemistry between us, Twas Grace, Expression, amongst other songs. After successfully hosting the season with great performances by Top acts in Nigeria Abuja is set to experience yet another loaded edition of the best urban gospel music in the capital territory as NAIJAGOSPELBEATS.COM presents AbujaPraiseParty 3.0 strictly an urban contemporary gospel party. 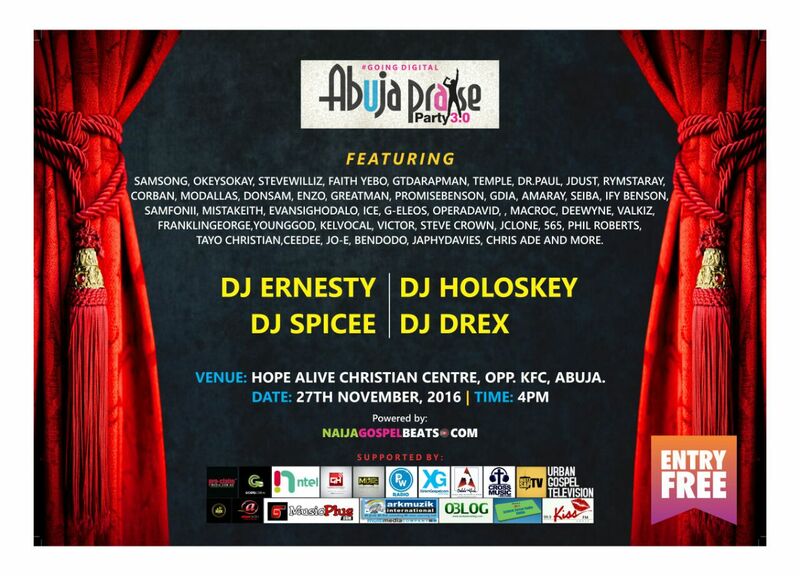 AbujaPraiseParty3.0 known to always be star studded will feature performances by Samsong, SteveCrown, OkeySokay, Corban. Ceedee, RymstaRay, Faith Yebo, Mista Keith, Donsam, Enzo (Zimbabwe), Amaray, Ify Benson, Evans Ighodalo, Tayo Christian, Victor, Greatman, Kelvocal, Seiba,Valkiz, Opera David, Steve Williz, T-One, Promise Benson, Dr Paul, Franklyn George, Syntyche, PhilRoberts, ICE, ELEOS, JAPHY DAVIS, JCLONE, MacRoc, GT DA RAPMAN, 565, Izik Aga, JO-E, Bendodo TEMPLE, CHRIS ADE, SAMFONII, C-RYDAZ, OTTOPAUL, GDIA Modallas, Mr. Japheth and lots more. Free unlimited WiFi and other freebies powered by: ntel networks. Psalmist, OluwaDamilare Akintola aka DareJully is a gospel singer and songwriter who hails from Ibadan, Nigeria. 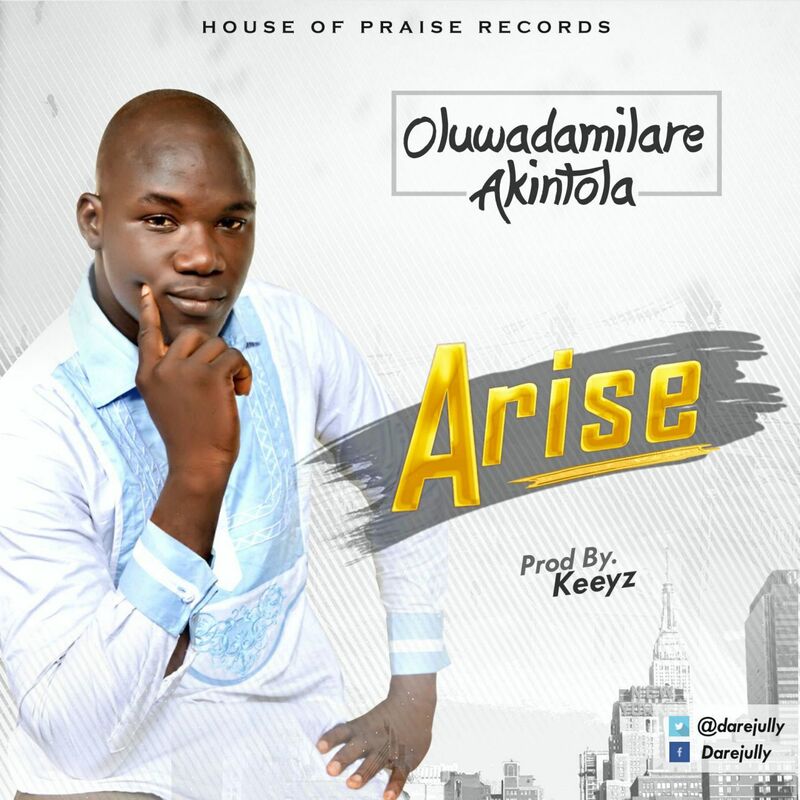 He is out with the release of his highly anticipated debut single titled “ARISE‘, Prod. by Keeyz. “Faith is the substance of things hoped for, the evidence of things not seen (Hebrews 11:1) God isn’t moved by your situations, problems or tears or by the fact that you are nice and kind. 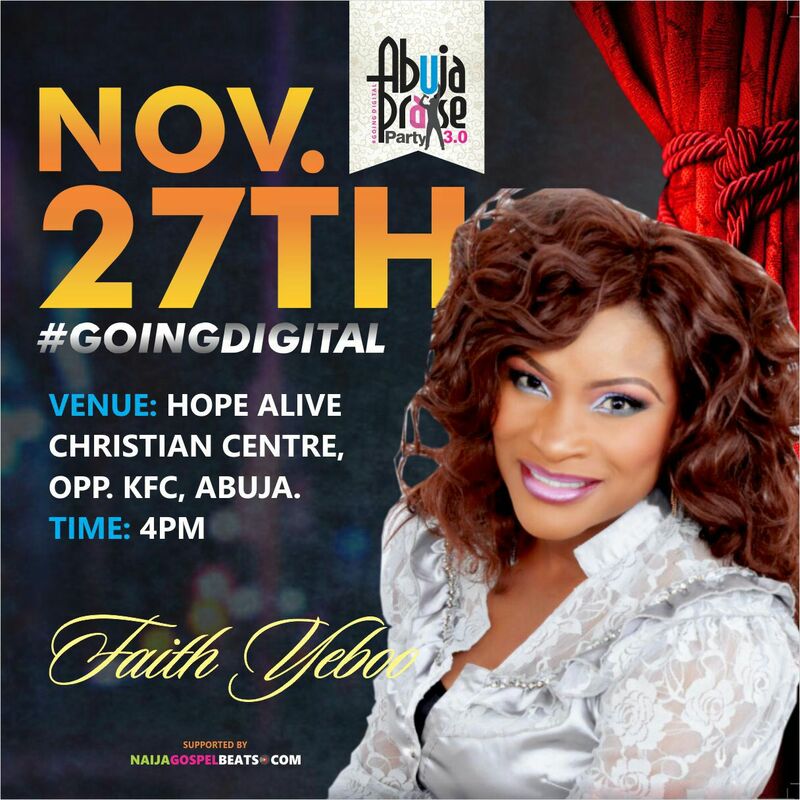 God is not moved by your flesh He is only moved by the response of you human spirit which is faith” says De-Ola. 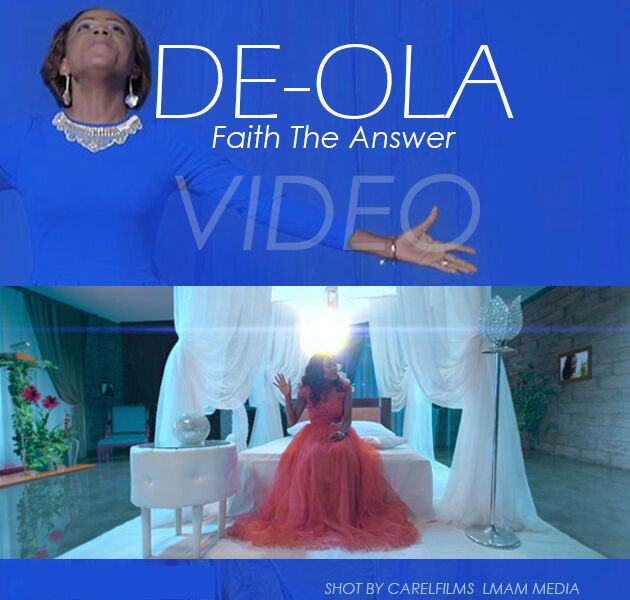 De-Ola releases the official video for her recently released song “Faith the Answer” from her album titled SPREADING JESUS. This song she says, will make your faith come alive again. Congratulations to you all because your level of faith is about to be increased and lifted. Produced by A4 Jeazy. The video was shot by Carel Films.